not happen as often as we'd like. I found this book on the cheap shelf at Barnes and Noble. to make up for my tardiness. basement playroom to try out some of the ideas. and declared the book "great". one in their favorite color. 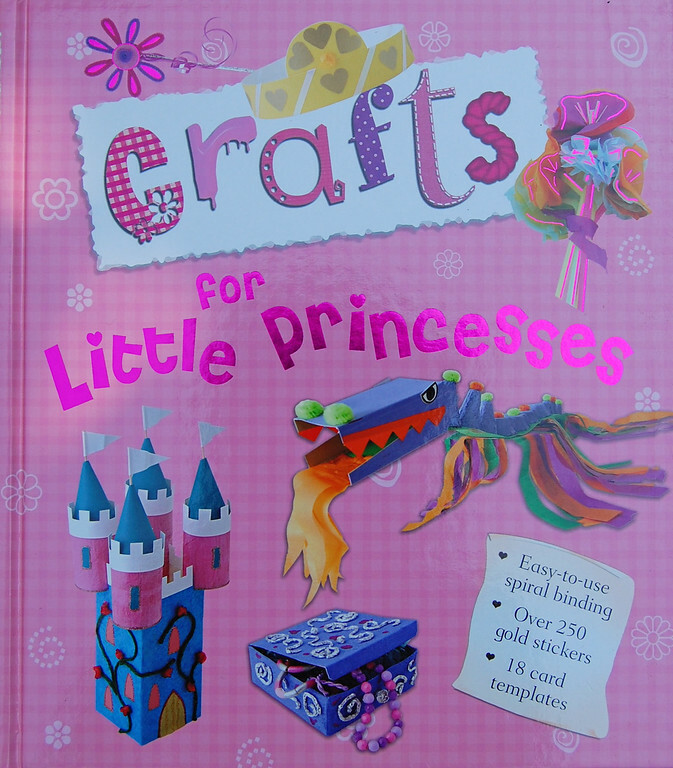 the Princess Craft Manual while we were making this. A lot of shouting. 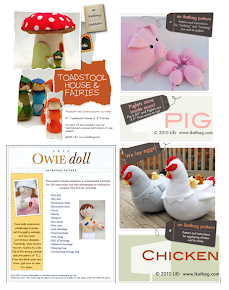 Very exciting crafting experience. Poke a hole in the bottom of the cup for the straw/dowel. Cut a 1" circle of card/paper/craft foam for the face. Embellish with hair, eyes, nose, mouth, crown etc. Stick the face on one end of the straw/dowel. Cut a cone-shaped piece of fabric wide enough to go around the rim of the paper cup. Glue the curved edge of the cone around the rim of the papercup. Overlap the straight edges of the cone and glue shut. Don't forget to leave a little hole at the top of the cone to insert the straw/dowel! Insert the straw/dowel from the top of the cone and ensure the other end of the straw/dowel emerges through the hole in the base of the cup. Glue the top end of the fabric cone at the base of the face, pressing the fabric against the straw/dowel to ensure it adheres. 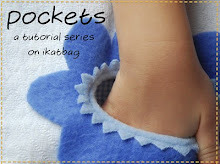 Add extra layers of fabric if you want. 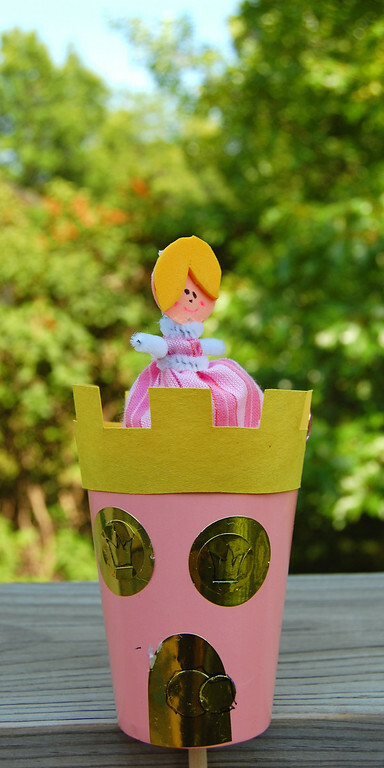 Wind the pipe-cleaner around the "waist" of the princess and twist behind her back to secure. Pull the ends out to the sides to form her arms. 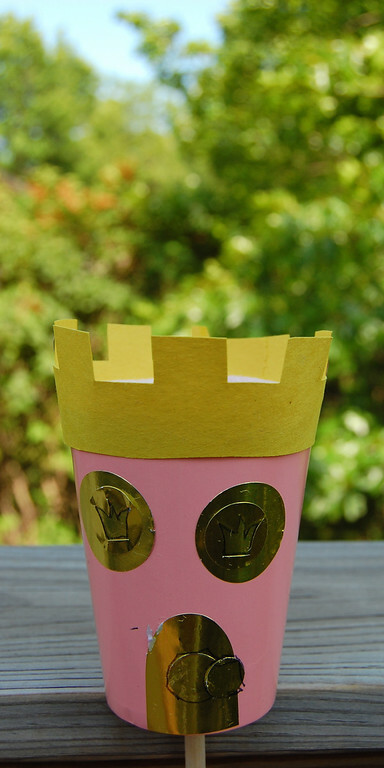 Cut battlements and stick them on the rim of the paper cup, covering the mess you made (if you are anything like me) gluing the fabric onto the rim earlier. 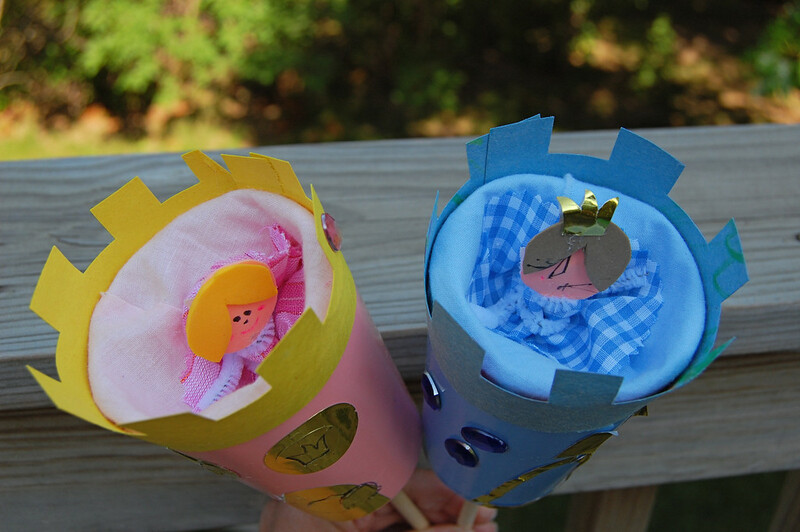 Push the dowel up and play peekaboo with your princess! oh my gosh, these are the cutest! i think i may have to get my older daughter this book. 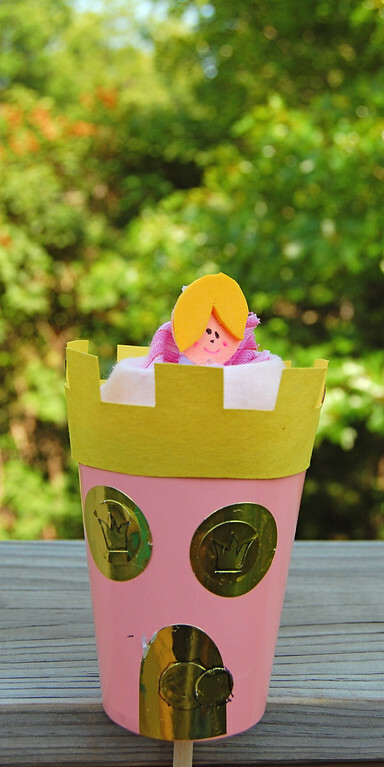 Wow... you make my day.. my girl is turning 3 and wanted a princesse party.. so.. now I have the perfect gift for it! thanks! You are a genius! Nothing more to say, your daughters are very very fortunate. Now, hopefully so will mine be! Thank you!! You are a genius! Your daughters are very very fortunate! Now hopefully so will mine be too. Thank you! Those are so cute! 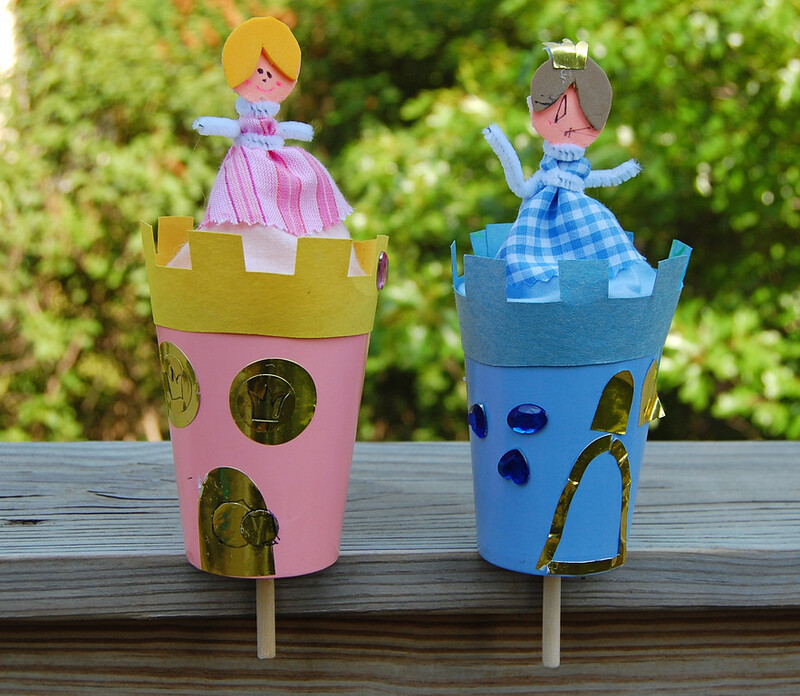 I nanny for a set of twin girls that are almost 5 and they will love making these. Thanks for sharing!